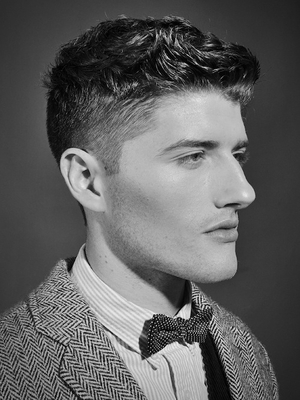 Men's undercut hair is making a comeback thanks to the retro vibe of TV shows like Mad Men and Boardwalk Empire. 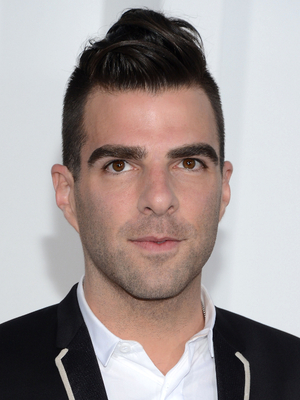 Undercut hairstyles for men, whether inspired by the 1920s or 1960s, have been sported on many celebs and they can be the right choice for any sophisticated man. 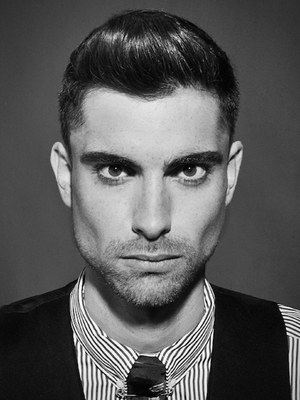 When choosing the right undercut hairstyle, men should take into account their hair type as long as the maintenance requirements of such haircuts. Before you ask your barber or stylist for one of the many undercut hairstyles for men, you need to consider how far up the short sides and back will be and how long the hair will be at the top. The shape of your face and head should come into consideration when choosing a specific type of men's undercut hairstyles. 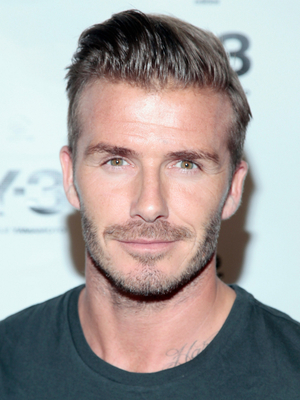 Thanks to celebrities like David Beckham, the hottest look when sporting the undercut hairstyles for men is the slicked back look, but that's not the only choice. 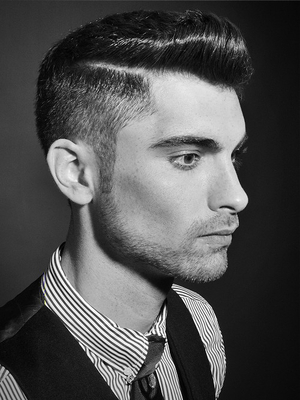 Longer on the sides than the edgy undershave, undercut hairstyles for men look best with longer or angular faces, but come in a variety of styles suited to many face shapes and hair types. 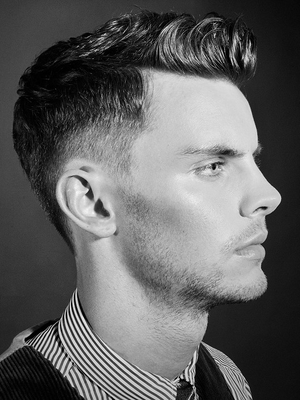 For the shorter sides and back you can opt for having your hair cut with scissors over comb or with clippers. The second option works best with number 2 or 3 clippers that give you a sharp look. You can also blend different lengths to get the most flattering style. For a thinner temple, you can go extra short with number 1 clippers, then ask your stylist to blend into 2 and 3 on the sides and on the back. 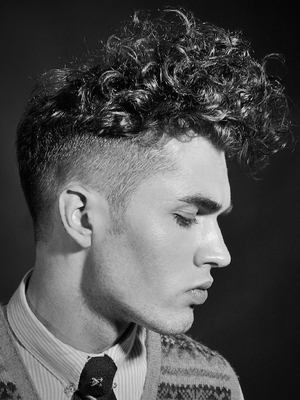 When getting the undercut hairstyle, men should remember that the longer on top, the better. 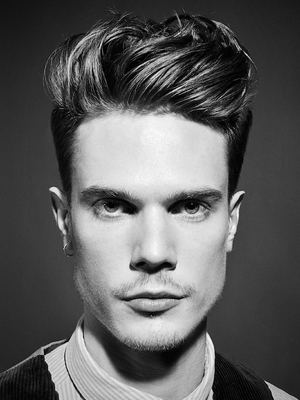 The extra length will give you plenty of style options, including the popular slicked back look. For the finishing touches, make sure the outline is sharp both on the sides and the back of the head, blending between the top and sides isn't the trendy look you're going for. Straight hair is the best option for undercut hairstyles for men, but sporting a wavy or curly mane is also a great fashion statement for men with a more daring style. Men's undercut hairstyles need a bit more maintenance than most haircuts and the product of choice is a lightweight hair gel for the slick look. You can style your new undercut hairstyle with your favorite brand of gel, or try new options like the Bed Head Power Play gel or the Crew firm hold styling gel for men.